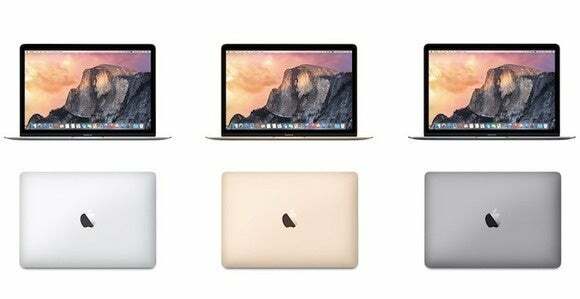 When it comes to purchasing a Mac, we've got the lowdown on each model to help you make a buying decision. If you’re reading this article, chances are you’re thinking about buying a new Mac and may be in need of a little guidance. Fortunately, we’re quite familiar with Apple’s Macs, and we’re happy to help you choose the right Mac for you. This buying guide provides an overview of all the Mac models available, and what each model is best suited for. To get more details, you can read the full review by clicking the product name in the product boxes that have mouse ratings. Models for sale were originally released October 2018. What is it? 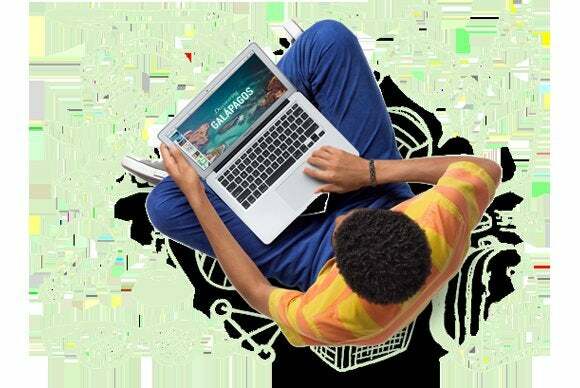 The MacBook Air is Apple’s affordable line of laptops. Apple currently offers three 13-inch models. Who’s it for? The MacBook Air is ideal for the budget conscious. It’s also for anyone who is always on the go, doesn’t want to be bogged down by a regular-size laptop, and needs a computer that’s more versatile than an iPad. What are the specifications? Two of the MacBook Air models have the same 1.6GHz dual-core Core i5 (eighth-generation) processor and 8GB of RAM. All MacBook Air models come with integrated Intel UHD Graphics 617 technology. Apple claims 12 hours of battery life for both wireless web and 13 hours iTunes movie playback. The main difference between the laptops is storage. The $1,199 model has 128GB of flash storage, while the $1,399 model has 256GB. The $999 MacBook Air has a 1.8GHz dual-core Core i5 (fifth-generation) processor, 8GB of RAM, and integrated Intel HD Graphics 6000. Apple claims 12 hours of battery life for both wireless web and iTunes movie playback. How do I connect stuff? The MacBook Air has built-in Wi-Fi for connecting to a network. It also provides built-in Bluetooth for wirelessly connecting a mouse or other peripheral. If you want to connect to an ethernet network, you’ll need an adapter. The $1,199 and $1,399 Models have only a pair of Thunderbolt 3/USB-C connectors. If you want to connect USB-A devices, you need either a USB-C to USB adapter, like Apple’s $19 one, or a USB-C hub that has USB-A ports. On the $999 MacBook Air, Thunderbolt 2 is the MacBook Air’s high-speed connector. This laptop also has a pair of USB 3.0 ports, which can work with devices that use USB 2.0. If you have a FireWire 800 drive, you’ll need to buy a Thunderbolt-to-FireWire Adapter ($29 on the Apple Store). How fast is it? The MacBook Air is quite capable of handling everyday tasks, such as sending and receiving email, browsing the web, and using office applications. You can even use it for editing short videos, or for working with JPEGs from your iPhone or point-and-shoot camera. Macworld’s buying advice: The MacBook Air is a great affordable laptop for someone who does general-purpose work and moves around a lot, such as a student or a self-employed person. You can’t easily upgrade the storage after purchase, so you should buy the model with the largest amount of storage you can afford. Models for sale were originally released June 2017. What is it? The MacBook is Apple’s entry in the ultra-portable laptop market. It’s actually lighter and smaller than the 13-inch MacBook Air. Who’s it for? The MacBook is made for users who prioritize mobility over everything else, including features and performance. What are the specifications? 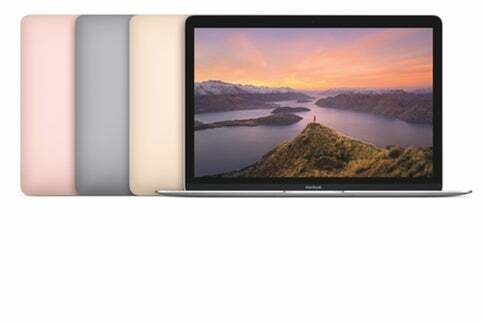 The MacBook comes in only one size: a 12-inch model available in rose gold, space gray, gold, or silver. There are two models of the MacBook. The $1,299 model has a 1.2GHz dual-core Intel Core m3 (Kaby Lake) processor and 256GB of flash storage. The $1,599 model has a 1.3GHz dual-core Intel Core i5 (Kaby Lake) processor and 512GB of flash storage. Both models include 8GB of memory and an integrated Intel HD Graphics 615 processor. The MacBook has a Retina display, which means it has an ultra-high resolution screen that’s capable of showing crisper images than on the MacBook Air, which has a standard display. 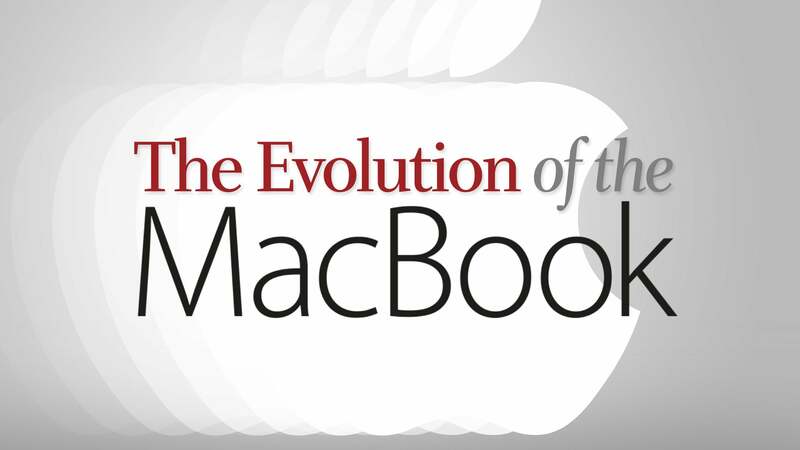 The MacBook has a native resolution of 2304x1440 and offers scaled resolutions of 1024x640, 1280x800, and 1440x900. How do I connect stuff? The MacBook has Wi-Fi for connecting to a network and Bluetooth for your devices. There’s only one USB-C port for connecting storage devices, printers, external displays, power adapters, or anything else. If you have older USB peripherals, you need to use a USB-C to USB Adapter ($19 on the Apple Store) that will allow you to connect USB 3 and USB 2 devices to the MacBook. Want to connect to ethernet? You need the USB-C to USB Adapter and the USB ethernet Adapter ($29 on the Apple Store). If you want to connect an HDMI display and USB devices, you need to get the USB-C Digital AV Multiport Adapter ($69 on the Apple Store). Or if you want to connect a VGA display, you need the USB-C VGA Multiport Adapter ($49 on the Apple Store). How fast is it? The processors in the MacBook are made to be efficient and cool. They’re not a top-performers, though we’ve found that the MacBook outpaces the MacBook Air. Compared to previous MacBook generations, the current version provides a much-needed performance boost. The MacBook is a better value than it has been, thanks to the Kaby Lake processor. That being said, it can handle everything your typical user does on a daily basis. It can even handle some high-end, professional production tasks. It just won’t be the fastest to the finish line. Macworld’s buying advice: The MacBook is for anyone who’s constantly on the go and seldom needs to connect devices—be prepared to carry a bunch of adapters if you have to make connections. Models without Touch Bar were originally released June 2017. Touch Bar models were released July 2018. What is it? The MacBook Pro features a high-density display with so many pixels that images and text look especially smooth and clean. At normal viewing distances, you can’t discern individual pixels. Who’s it for? The MacBook Pro is for the demanding user who wants a portable computer that also performs well. MacBook Pro models sit at the top of the performance chart of Mac laptops. What are the specifications? The MacBook Pro is available in screen sizes of 13 inches and 15 inches. $1,299 model: 2.3GHz dual-core Intel Core i5 (Kaby Lake) processor, 8GB of memory, 128GB SSD, Intel Iris Graphics 640 integrated graphics, and no Touch Bar. $1,499 model: 2.3GHz dual-core Intel Core i5 (Kaby Lake) processor, 8GB of memory, 246GB SSD, Intel Iris Graphics 640 integrated graphics, and no Touch Bar. $1,799 model: 2.3GHz quad-core Intel Core i5 (Coffee Lake) processor, 8GB of memory, 256GB SSD, Intel Iris Graphics 655 integrated graphics, and the Touch Bar. $1,999 model: 2.3GHz quad-core Intel Core i5 (Coffee Lake) processor, 8GB of memory, 512GB SSD, Intel Iris Graphics 655 integrated graphics, and the Touch Bar. $2,399 model: 2.2GHz six-core Intel Core i7 (Coffee Lake) processor, 16GB of memory, 256GB SSD, Intel UHD Graphics 630 integrated graphics, 4GB Radeon Pro 555X discrete graphics, and the Touch Bar. $2,799 model: 2.6GHz six-core Intel Core i7 processor, 16GB of memory, 512GB SSD, Intel UHD Graphics 630 integrated graphics, 4GB Radeon Pro 560X discrete graphics, and the Touch Bar. The 13-inch Retina display has a native resolution of 2560x1600, and OS X offers a scaled resolution up to 1680x1050. The 15-inch Retina display has a native resolution of 2880x1800, and OS X’s highest scaled resolution on those laptops is 1920x1200. These high-scale resolutions can accommodate the workspace of a larger-screen standard Mac laptop on a smaller Retina MacBook Pro if you can tolerate the smaller icons, text, and other graphics on the screen. If you use a third-party app such as QuickRes, you can set the Retina screen to use resolutions higher than the scaled settings OS X offers, including the native resolution. The MacBook Pro does not have a SuperDrive, so if you need one, you’ll have to buy an external USB optical drive. What is the Touch Bar that’s mentioned in the specs above? The Touch Bar is a new input device. It sits on top of the keyboard, and it’s basically a narrow touchscreen. The button and controls available on the Touch Bar change depending on the software you are using. Learn more about the Touch Bar. Important: The Touch Bar is not available on the $1,299 and $1,499 13-inch MacBook Pro. Those models have the traditional function keys. How do I connect stuff? No need to worry about wireless connectivity: The MacBook Pro has Wi-Fi and Bluetooth. It’s the wired connectivity you need to be concerned with. The MacBook Pro has only Thunderbolt 3 ports, which are compatible with USB-C. The $1,299 and $1,499 13-inch MacBook Pro models have two ports, while every other MacBook model has four. If you have a Thunderbolt 3 device, you can plug it directly into the laptop. The same goes for any USB-C device. However, if you have wired devices that aren’t USB-C or Thunderbolt 3, you’ll need an adapter. We have a separate MacBook Pro Thunderbolt 3 adapter guide to help you decide which ones you’ll need. Unfortunately, be prepared to shell out a good amount of extra cash. How fast is it? The MacBook Pro models are, to no surprise, the fastest laptops Apple has ever released. If it’s processing power you seek, it’s the MacBook Pro you want. Macworld’s buying advice: For the most demanding mobile Mac user—someone whose work requires a lot of processing power—the MacBook Pro is the ticket. If you’re looking at a 13-inch model, the $1,799 Retina MacBook Pro hits a sweet spot for price and performance. The money that separates the two 15-inch Retina MacBook Pro models is a hefty chunk of change; the $2,799 MacBook Pro is the top-of-the-line Mac laptop, offering the strongest performance. If your work mostly involves internet access and other productivity tasks, however, go for a MacBook Air. Apple has refurbished MacBook Pro models available in the company’s Refurbished and Clearance Store. Refurbs offer a modest savings over new models, though the inventory for 2018 refurbs runs out quickly. You may find only older models, so check back at a later date to see if there are any 2018 laptops available. Apple tests and certifies all products in the Refurbished store. Supply is limited, so Apple could run out of refurb stock, and you’ll have to check back if you missed your opportunity to buy. But once Apple receives your payment, the company guarantees your purchase. Refurb products come with a one-year warranty.